There couldn’t be anything easier than going up to an Apple Store or other trustworthy retailer and purchasing a brand new iPhone. Not only is it very simple but also includes a warranty with the new device that should cover all problems for a significant period of time. However, when it comes to buying a used iPhone things are a little different. Purchasing a refurbished iPhone can be risky so to make sure that you are getting a device that won’t cause problems for you later it’s important to run a thorough number of checks on it. Add to this the fact that there are just so many fake iPhone models in the market which makes spotting the real ones all the harder. Besides the fake/genuine issue, you should make sure that every function of your device is working and doesn’t cause hassle for you later on. To help anyone who is interested in purchasing a used iPhone, we have made a list of checks and tests to ensure that you are able to determine whether the device you are about to purchase is actually worth it. 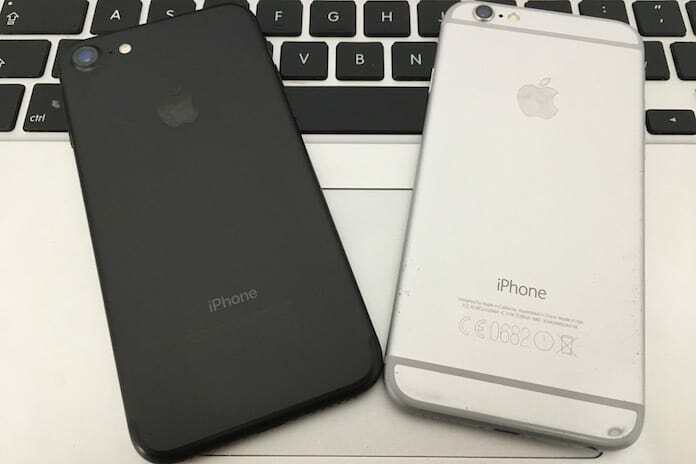 Used vs. Refurbished iPhone – What is the Difference? 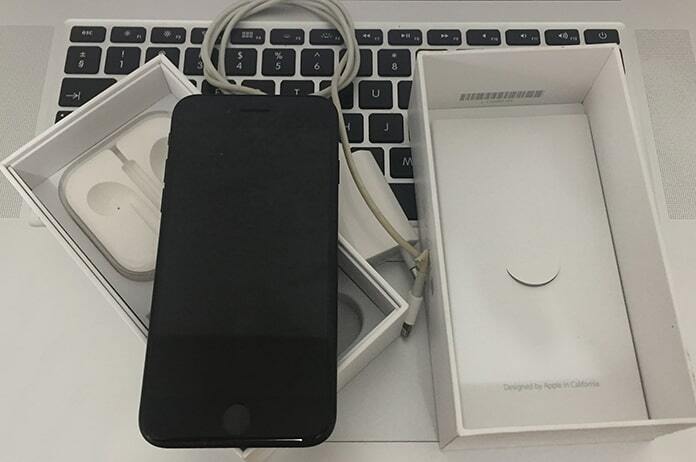 A mistake many make is confusing refurbished and used iPhones. The used devices, of course, have been in the use of different people at different times. 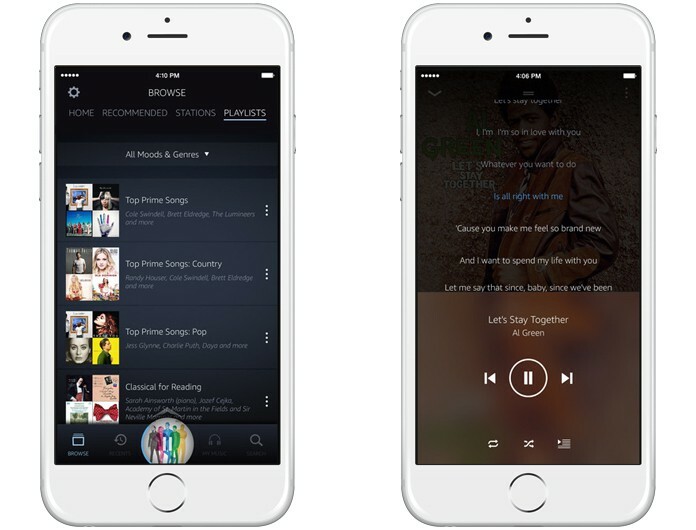 However, the refurbished iPhone is different in the sense that it actually isn’t used in the conventional sense. These types of devices are pretty much brand new but can’t be labeled as ‘new’ because their seal has been broken. However, they still have a warranty covering them and are pretty much untouched, so they come at a price above normal used iPhones while at the same time being cheaper than completely new devices. A great way to check whether an iPhone is refurbished or new is by checking out the serial number of the handset (on the back) through Apple’s website. Start off by checking out the physical appearance of the phone. The body is a great indicator of the overall condition of the device. Check for scratches or cracks on the exterior. Remember that an iPhone that has lost most of its gloss and shine and is marked all over has likely seen rough treatment and also isn’t pretty to look at. Only consider an iPhone if it’s in relatively good condition with only a few marks and a scratch or two. The screen itself should be completely undamaged and flawless. 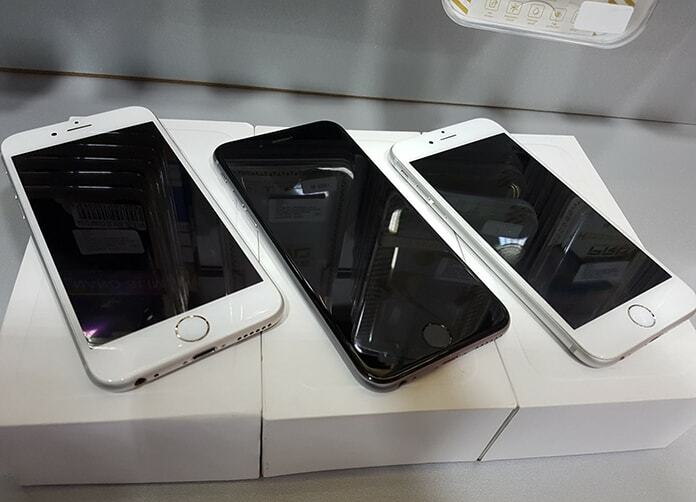 Checking whether an iPhone is real or fake is a very important step in deciding whether to make a purchase. 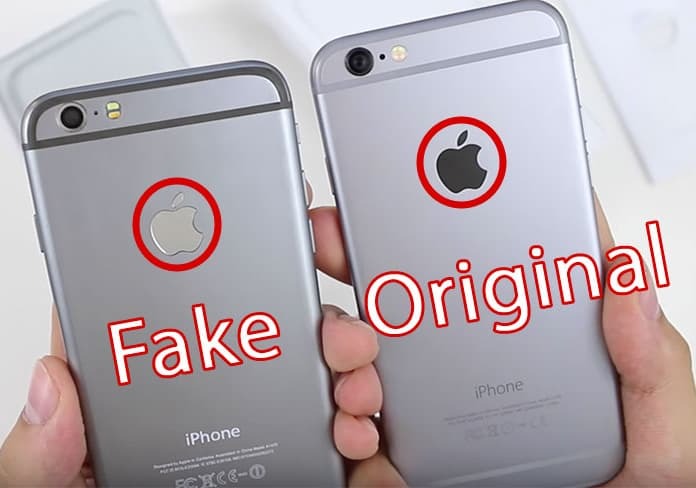 There are numerous fake iPhones in the market and the last thing you want to do is pay a substantial amount for a device that doesn’t even turn out to be what you want. So, check out whether an iPhone is real or not quite thoroughly. In case you didn’t already know, every phone has its own unique serial number for identification purposes, very much like license plates for vehicles. What this does is allow easy locking down of a device in case of theft or loss. 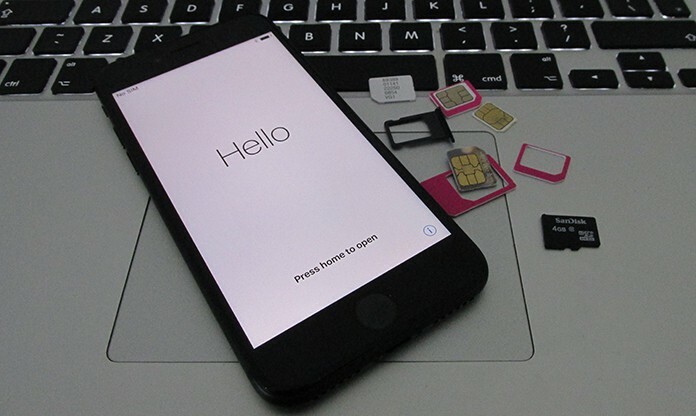 GSM carriers use the IMEI number while CDMA service providers use the MEID for identification. In this day and age, it’s very possible that the iPhone you are considering to buy has been carrier locked due to non-payments or because it was stolen. In addition, it’s also possible that it was fabricated and has been opened then resealed due to repairs. In such a case the body will have been changed. 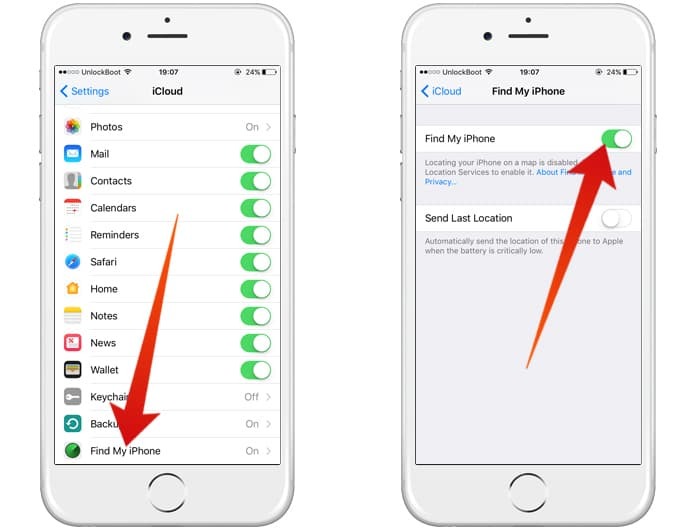 However, instead of relying on your sight alone, it is better to check the IMEI number on the back of the iPhone and match it with the one embedded in the OS. To do so simply go to Settings -> General -> About. Or, you can dial *#06# which will cause the IMEI/MEID number to be displayed. Lastly, you can also check the Verizon site as well. The MEID or IMEI number you found out in the previous part will also help to find out if the handset was stolen and is locked. Use the Apple Activation Lock Status tool to help you out in this regard. 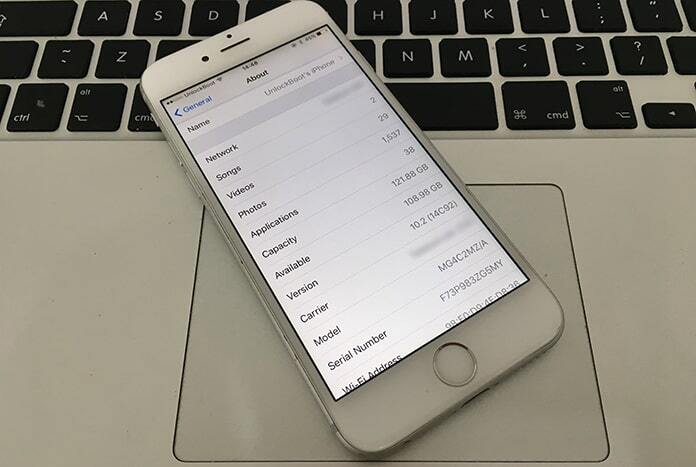 Entering the IMEI or other serial number in here will tell you what the status of the device is. A refurbished iPhone does have a warranty, as I just mentioned. Despite this, keep in mind that this warranty does not extend to water or liquid damage. So, it is vital to make sure that when buying an iPhone that it has not suffered from water or liquid damage. If it has, then any problems that arise as a result will not be covered by your warranty. 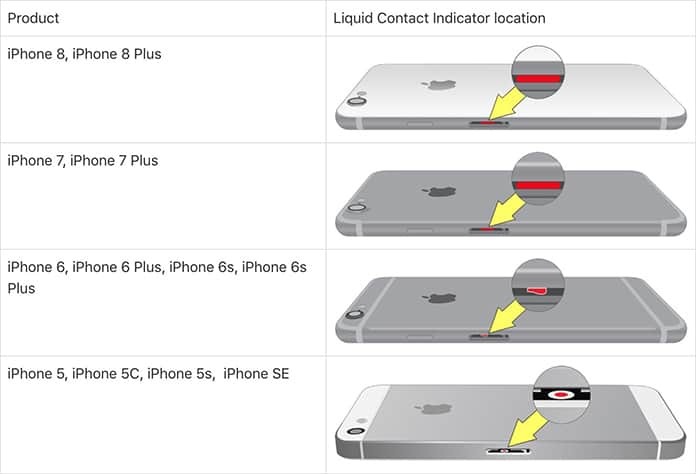 Most iPhone models come with a LCI (Liquid Contact Indicator). It can be found in the right of the phone and if the device has come into contact with liquids like water, coffee or tea it will be red. Normally the LCI is silver when the iPhone in question has been safe from liquid damage. Remember, DON’T fall for the vendor saying the LCI was triggered due to humidity or temperature. The device has been designed to withstand such conditions, the LCI is for direct liquid exposure. Before buying a used iPhone, it’s important to check the capacity of the device. You must confirm if the device has the same storage size as offered by the seller. In order to do that, you can navigate to Settings -> General -> About. Nowadays, no one can live without using their smartphones to take photos and record videos. The quality of these recordings and images is therefore, as important. To make sure that the camera is functioning well, compare photos taken by the device you want to buy and a new iPhone. 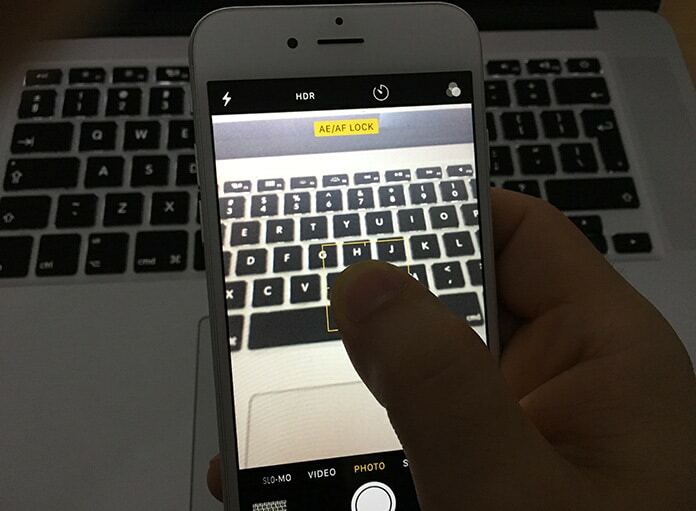 In addition, make multiple 30 second videos over 5 minutes to be 100% sure the device is working well. 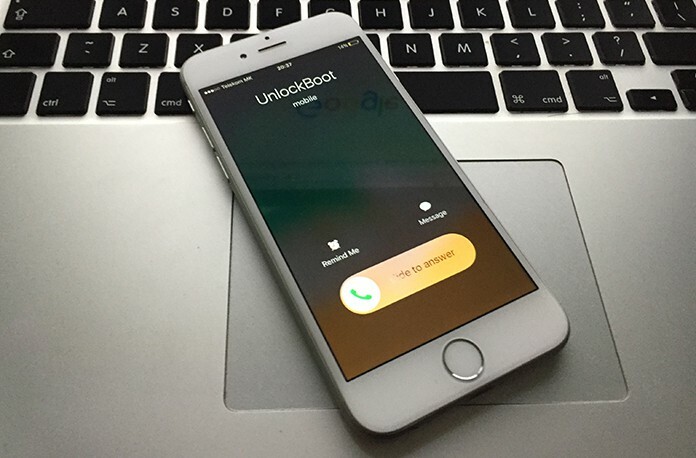 How long an iPhone is able to run is quite important for many users. New iPhones should give a battery life of a day or a day and a half under normal usage, so test the handset you want to buy accordingly. A good way to test an iPhone is to start using all of its battery heavy features simultaneously. Set screen brightness to maximum, turn on Wi-Fi and Bluetooth, take pictures and videos and talk over the phone for several minutes. 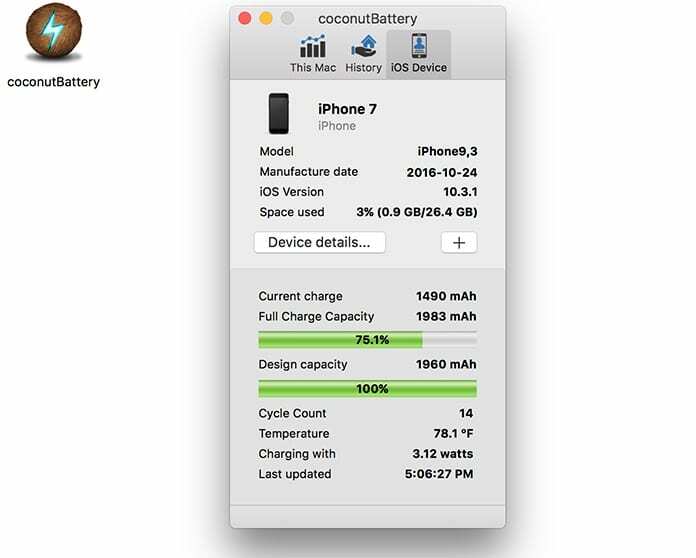 If the battery drains really rapidly you know something is up. Make sure files transfer through BlueTooth and that WiFi connects without any hiccups. Also, make sure the GPS works as it should. Press all the buttons such as Home, Power and Volume buttons to make sure their functions are being performed correctly. In addition, make sure they feel soft when pressed; stiff buttons could be a sign of trouble. Test the speakers in every manner possible. 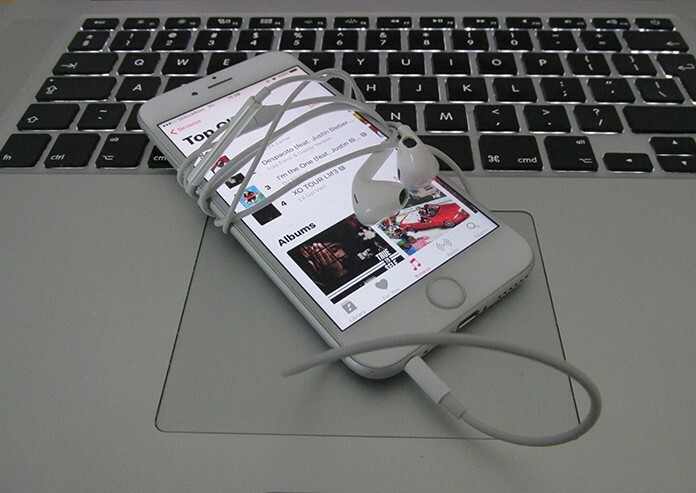 Play music, a video and even call someone and turn on the speaker to see if it is working as it should. When all is said and done the main purpose of a phone, even an iPhone, is to make and receive calls. So, test the device you want to buy by inserting a SIM and making calls. Don’t stop there but also ask a friend or someone else to call you to make sure that everything is working as it should. Lastly, also make sure the call quality is to your satisfaction. Check if your device charges correctly and if you can hear audio and music through headphones clearly and without distortion. The Touch ID feature is very important when it comes to security so you should check it out very thoroughly. 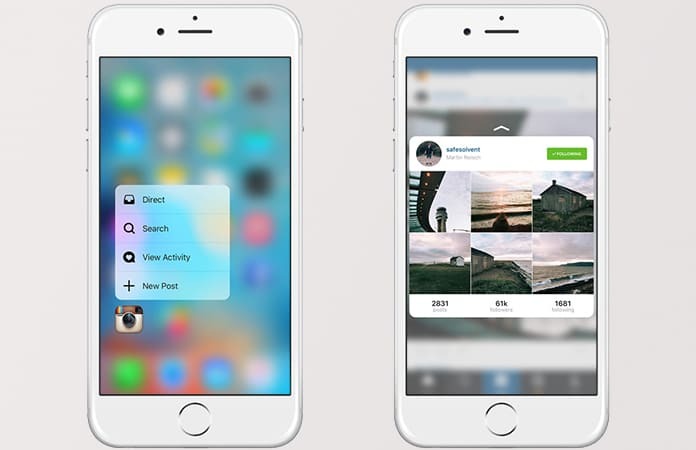 In addition, later models have the 3D Touch Feature; they allow using the soft or hard presses, so make sure that it is working properly on your device. Cast a very keen eye over the iPhone screen and make sure there are no dead pixels anywhere to be seen. 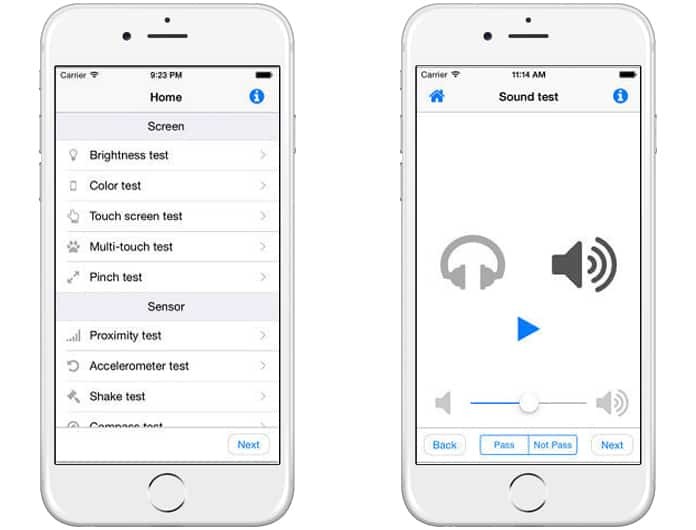 To help you in this regard, there is a Display Test app that can be quite useful. As far as newer iPhone models are concerned, you should keep an eye out for the Apple USB cable, a lightning connector, Apple EarPods, an AC adapter, a SIM eject pin, a user manual and of course Apple logo stickers. If the previous owner was careful with his device you should have the complete set of accessories in good condition. Remember to ask the vendor selling you the iPhone for a few days warranty so you can thoroughly test the device before finalizing the purchase.